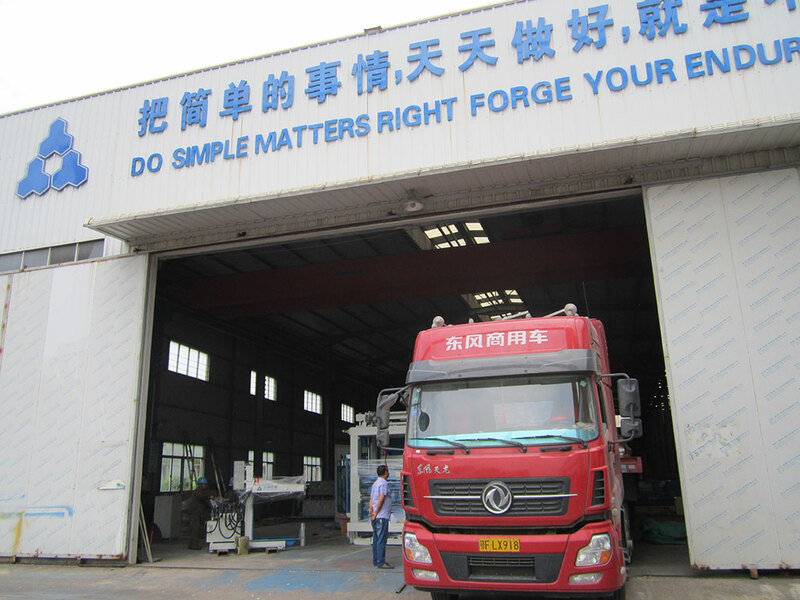 Recently, in the workshop of S.L Machinery Co., you can see workers are very busy at the side of a long trailer. 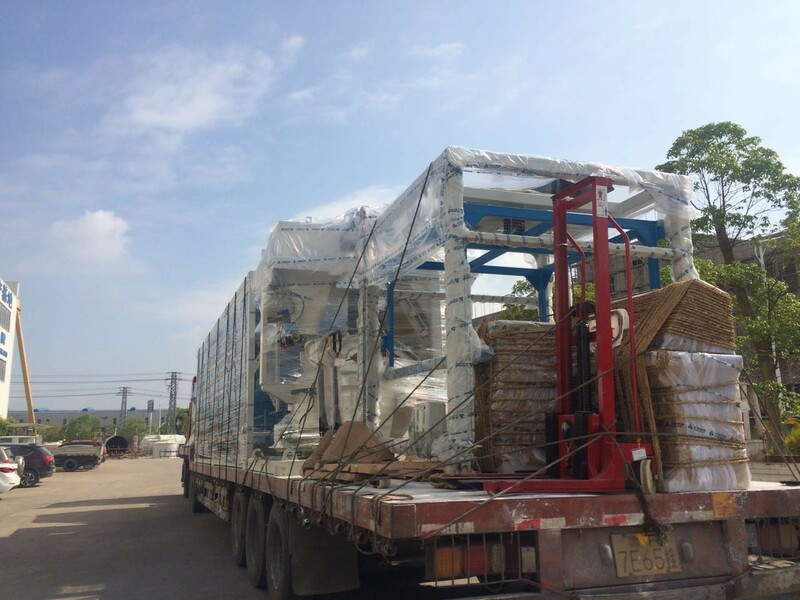 A new brick production line was systematically loaded on the trailer, ready to send to the Hubei customer’s hands. Nowadays, the entrepreneurial tide is sweeping the land of China, every hard-working people are trying to seize the time to get rich, the Hubei customer is one of them. When he saw the opportunity in the brick industry from the big construction of the whole country, he decided to invest in this project. So, how to choose the best equipment? The customer decides to buy the machine from a supplier only after an initial understanding of this company. 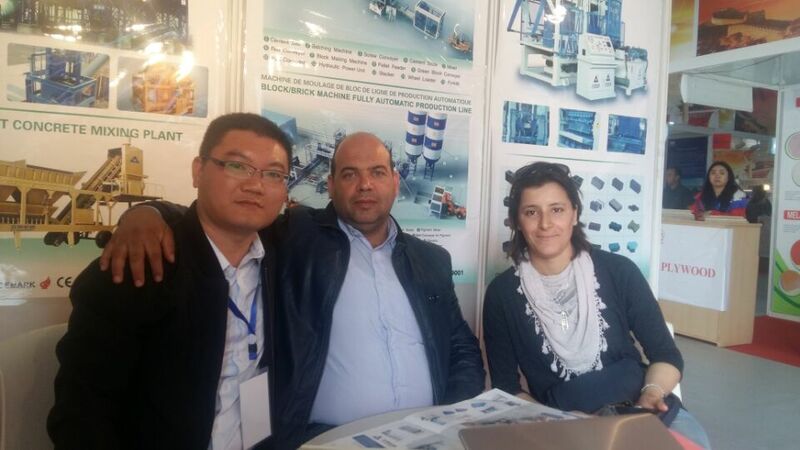 At this time, Quanzhou Sanlian business staffs learned of this situation, in a timely manner to get in touch with him for a detailed introduction of the brick machine industry situation, so that he can have a better comparision between each other. 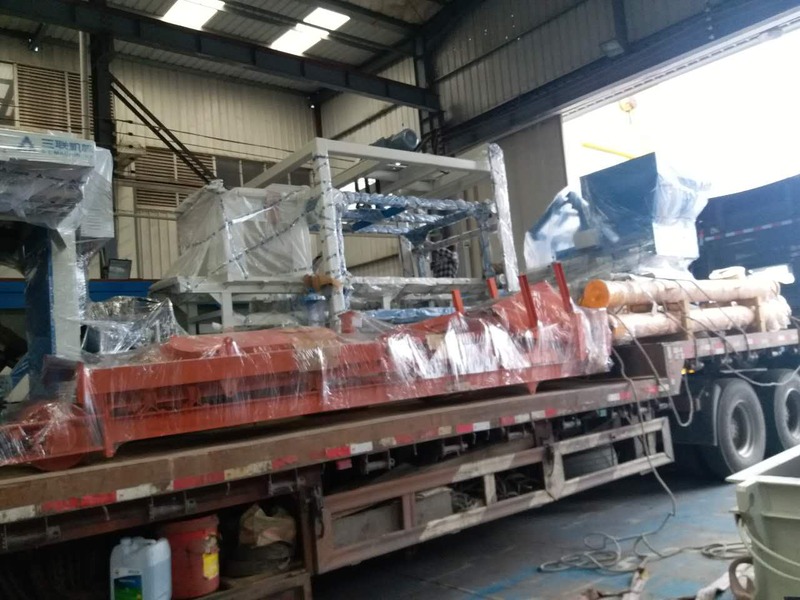 Coincidentally, one friend of this customer is S.L Machinery’s old customer, in the long-term use of S.L Machinery products, he felt comfortable, peace of mind, rest assured. Such a good product, how can not share with good friends? So he made a grand recommendation to this customer. 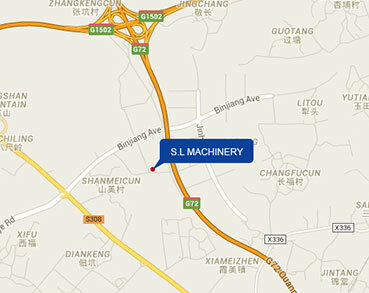 S.L Machinery manufacturing, must be fine. This is a lot of old customers who experience before. 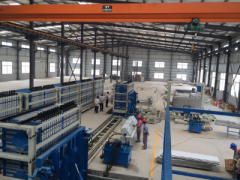 For this brick production line, compared with other similar products, it shows a multi-directional advantages: intelligent, versatile, and the strictly high standard of products produced by it. 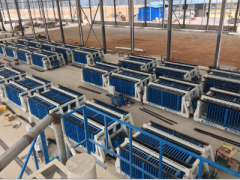 Intelligent: raw material batching system, vibration & noise reduction design, all used adjustable central control system, easy operation interface, so as to fully help customers to save lots of manpower. Multi-functional: it is multi-functional. Plaza brick, sidewalk brick, garden brick, grass brick and other paving stones, curbstone, retaining earth brick, isolation brick, well groove cover brick and other road bricks, load-bearing, non-load-bearing block, block, bricks and other wall materials, all can be produced, you just replace mould. 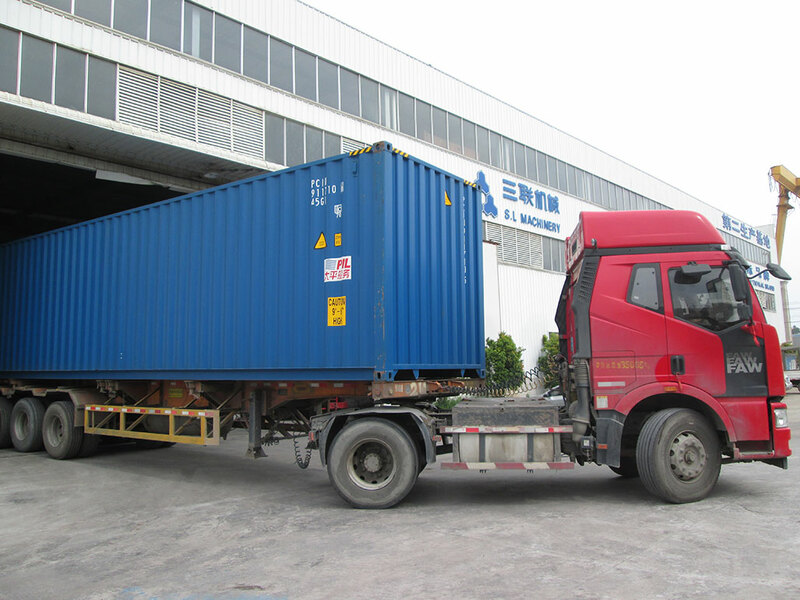 From the beginning of the creation, Quanzhou Sanlian machinery has always put the quality of products in the first place, they know, whether the quality of equipment, or the finished products quality, all are insurmountable enterprise lifeline. Once it has problem, not only affect its reputation, but also damage the interests of customers. 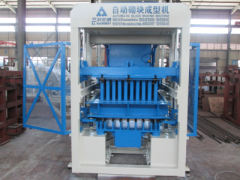 Therefore, the material charging device of this line applies the new standard, with a higher requirement on the concrete products compressive strength, by adding an arch broken device in the material cart, which can effectively prevent the material agglomeration, compulsory evenly charging material into every corner of the mould box, so that the every pallet blocks strength can be controlled about ± 2%. Carry a good product, pay the world off. Not long ago, S.L Machinery just back from the 121st Canton Fair, then set foot on the exotic Algeria, to participate in the 20th North Africa Construction Equipment and Building Materials Exhibition. Located in North Africa, Algeria, nearly 10 years of political and human resources, the rapid growth of the national economy, infrastructure fast forward: railways, highways, airports, terminals and other traffic infrastructure can be seen, hospitals, schools, stadiums, hotels and other public facilities blossom everywhere, the experts predict that the next 7-8 years, where the housing construction will enter an unprecedented period of high tide. 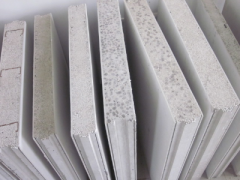 To this end, the global construction of building materials and equipment manufacturers are crowded, rubbing, ready to show ambitions. 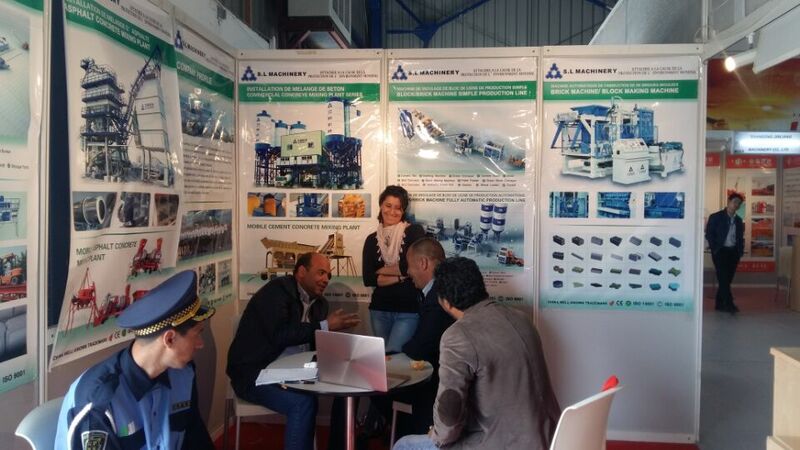 As a result, nearly 20 years of North Africa construction equipment and building materials exhibition is one of the best way to enter into the Algerian market. Facing with such a golden opportunity, how can anyone miss? A short five days foreign exhibition, welcome and send off many customers, S.L Machinery with its superior quality and technology to compete with other 24 countries including Germany, Spain, France, Italy, Portugal, South Korea etc.. On the day of returning, they are confident, because soon, they will join hands with these new foreign friends to together win the future.